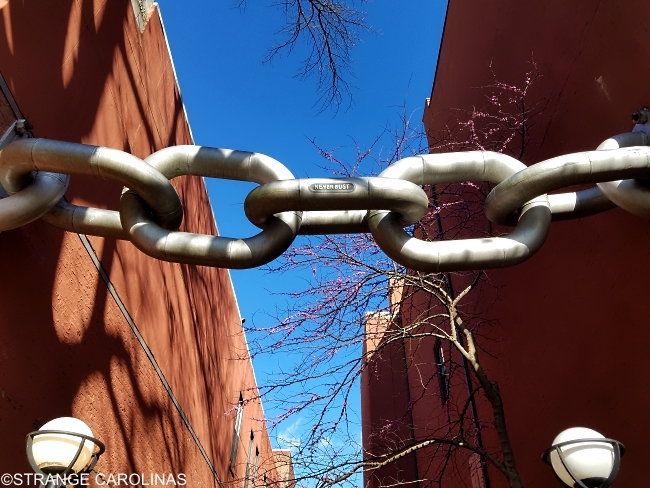 The Neverbust Chain can be found in downtown Columbia connecting Sylvan's Jewelers, which has been there since 1905, and Cowboy Brazilian Steakhouse, which is in the building that was formerly a Kress 5 & 10 store. 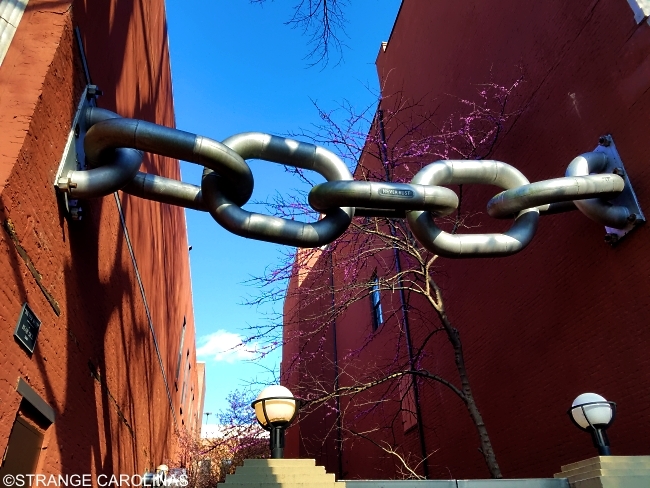 Created by noted artist Blue Sky, the Neverbust Chain was installed in 2000. 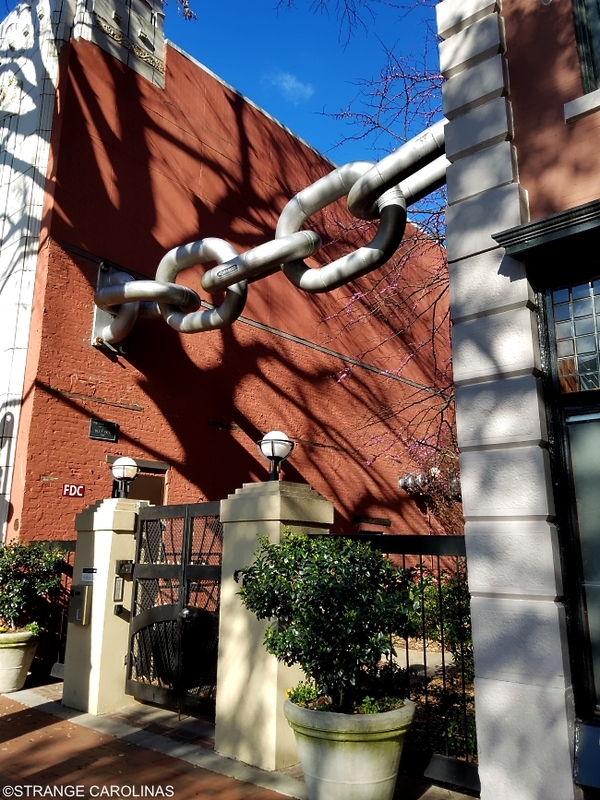 If you're like us, you have a strong desire to know why he decided to connect the two historical buildings with a 25-foot chain. According to his website, he did it because "one building looked like it was leaning a little bit."